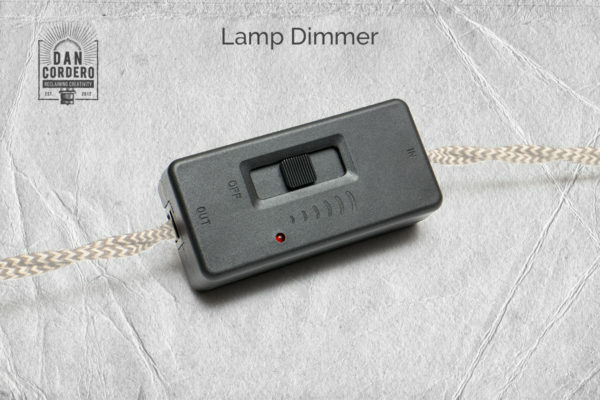 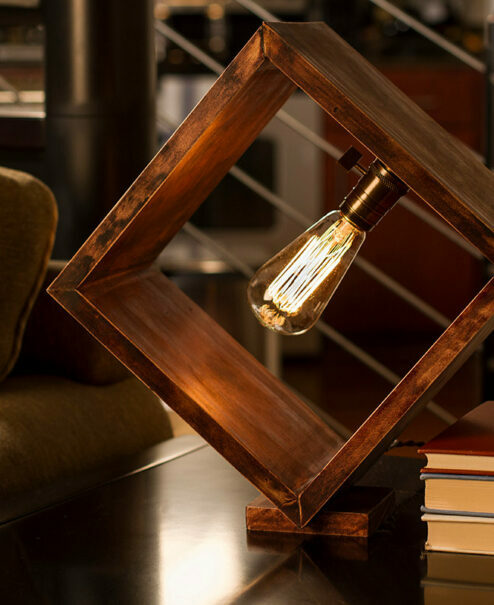 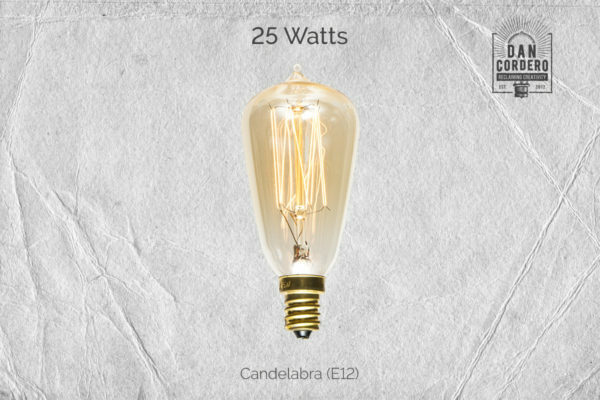 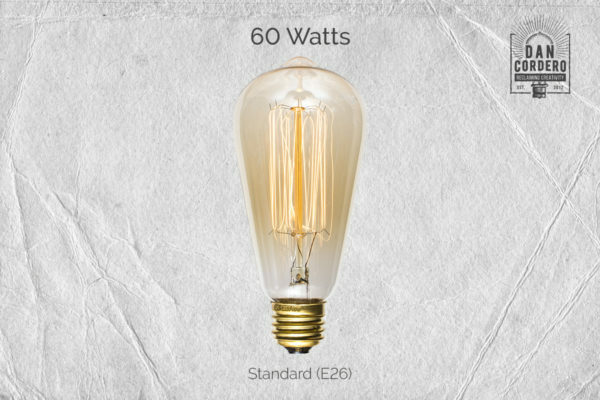 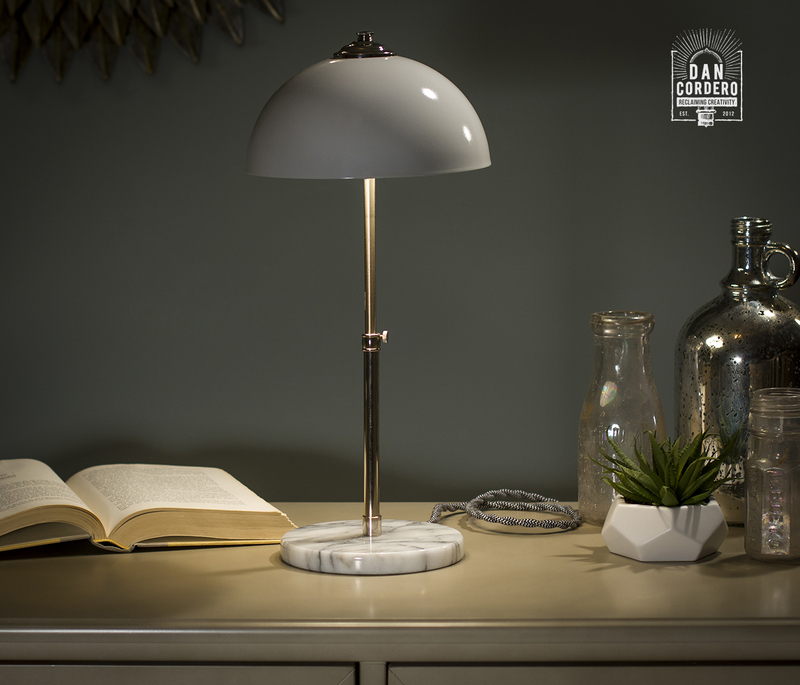 The sleek, yet compelling task light form, will easily complement your decorating tastes while creating a brilliant conversation piece. 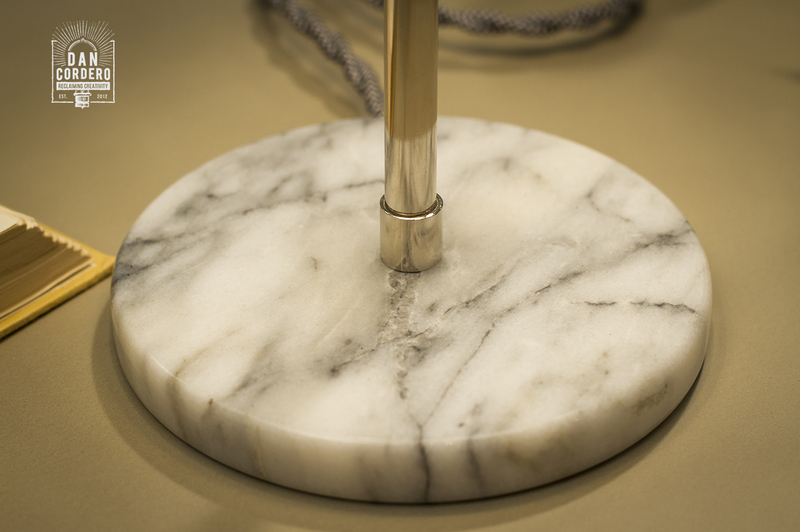 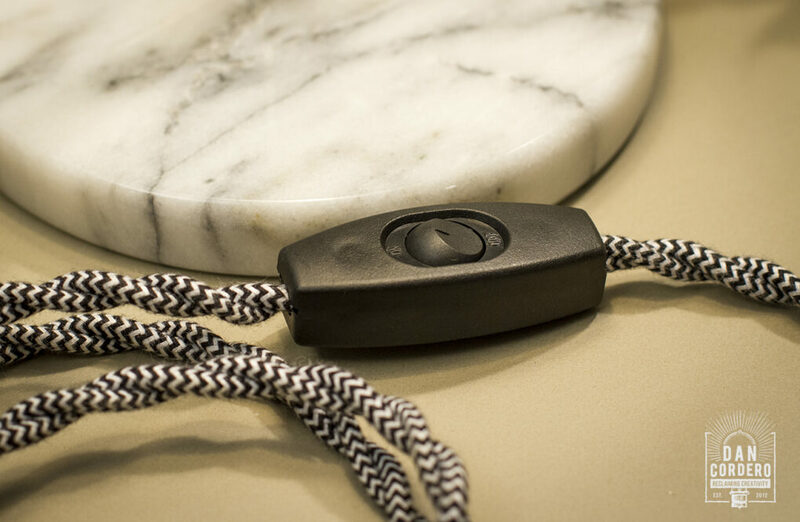 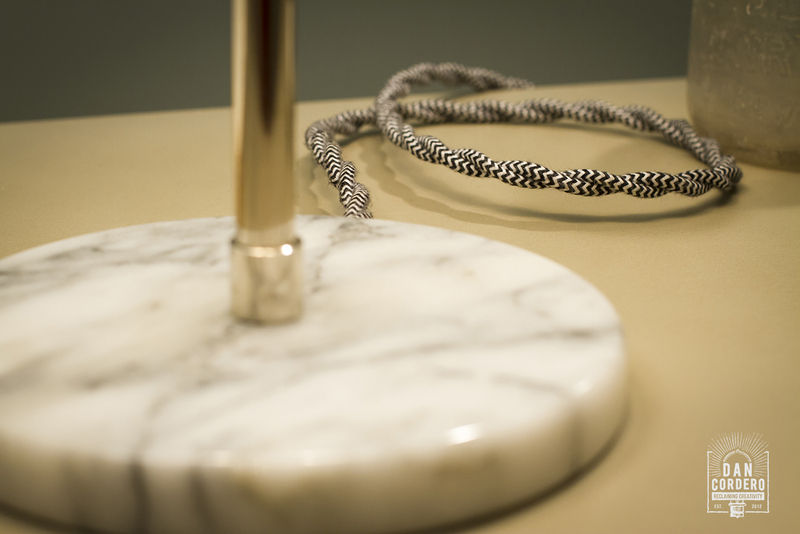 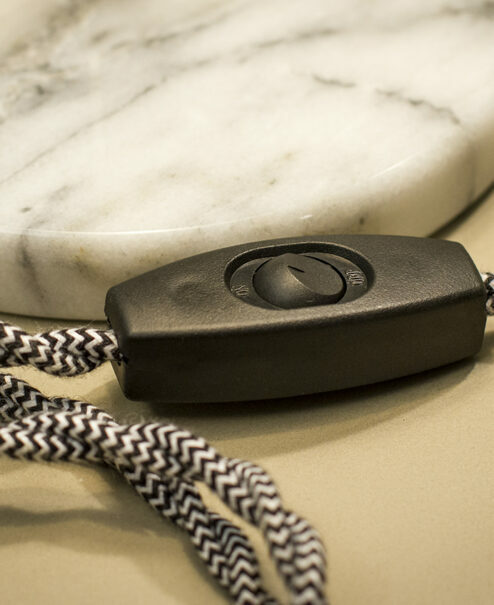 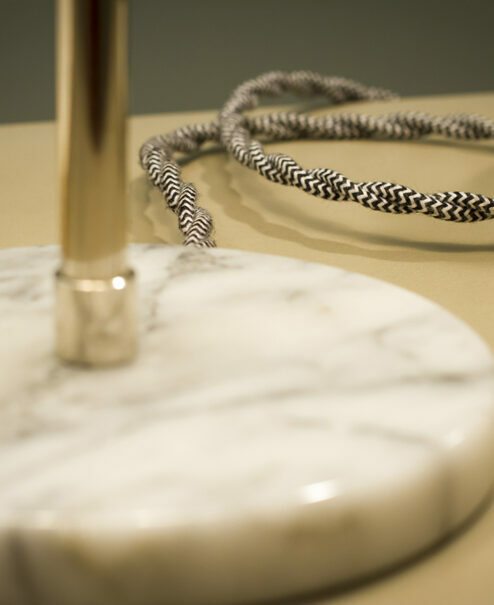 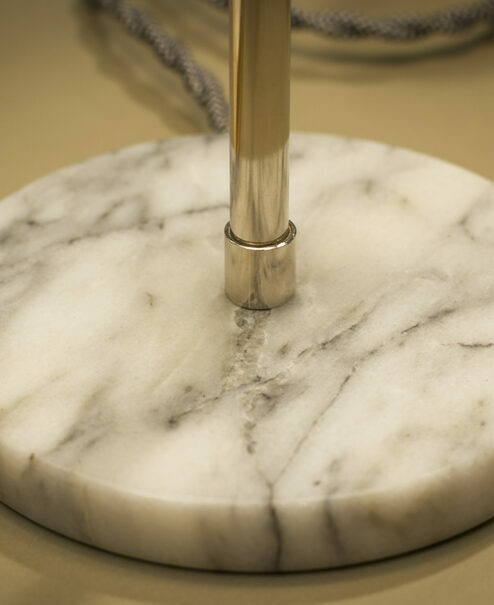 Attention to detail can easily been seen here in the stunning and smooth marble accent piece that adds an elite feel to this item and it’s warm modern finish. 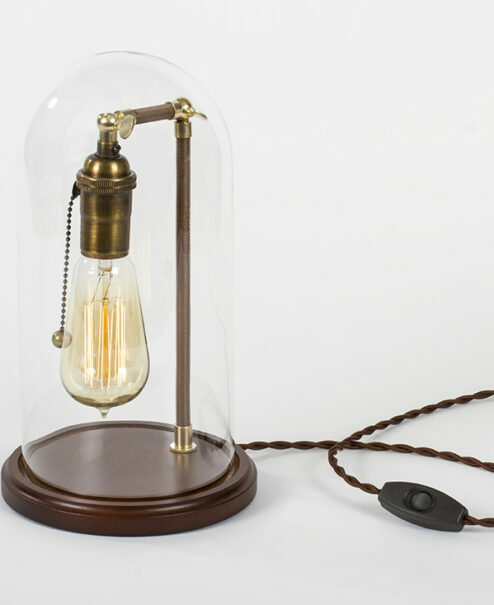 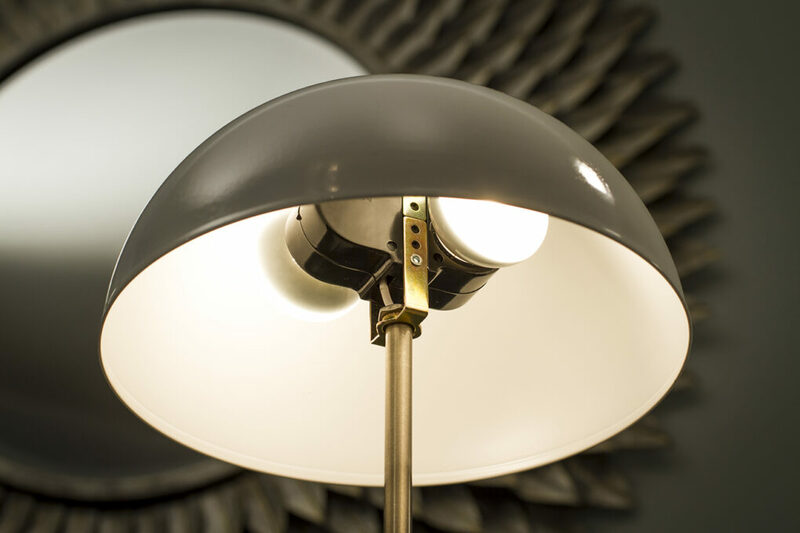 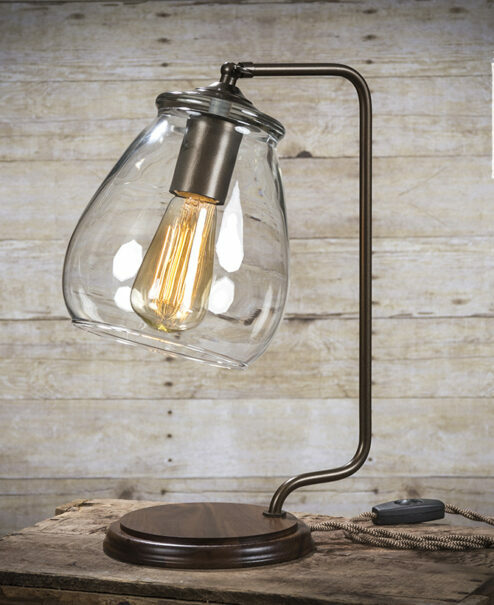 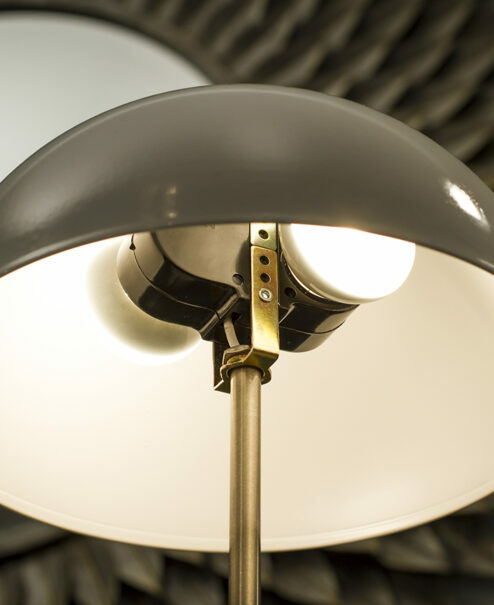 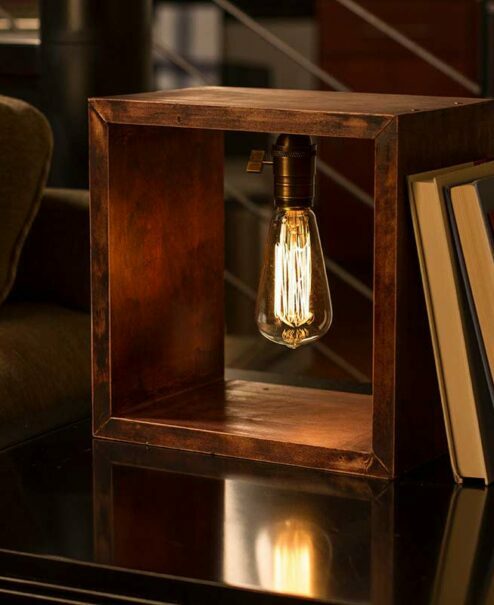 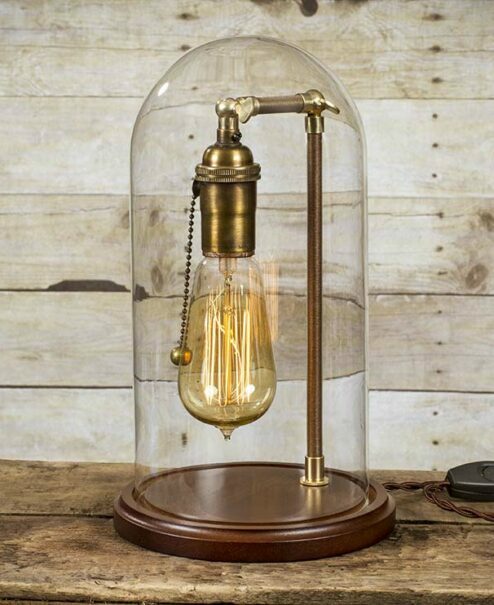 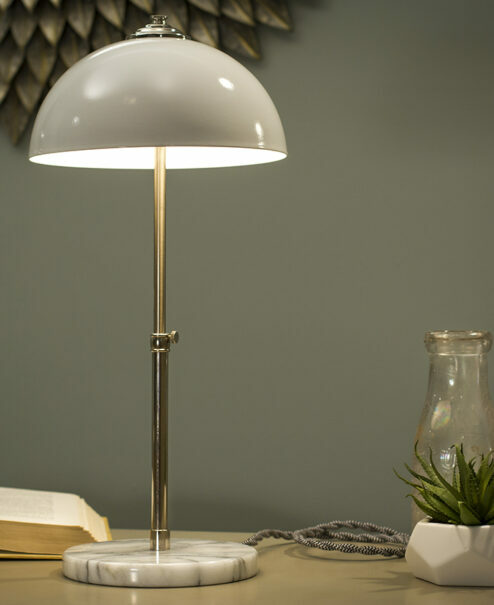 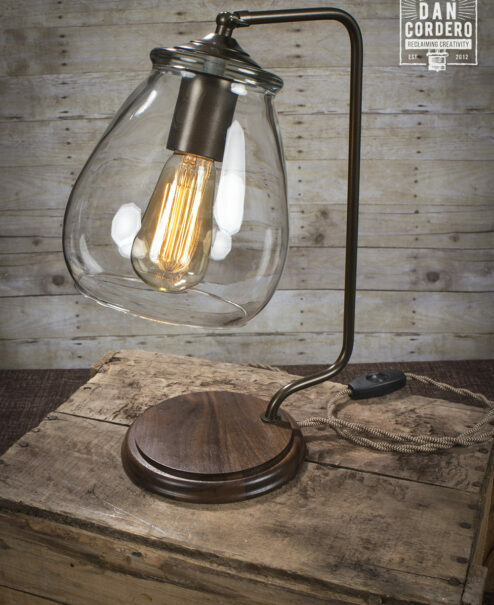 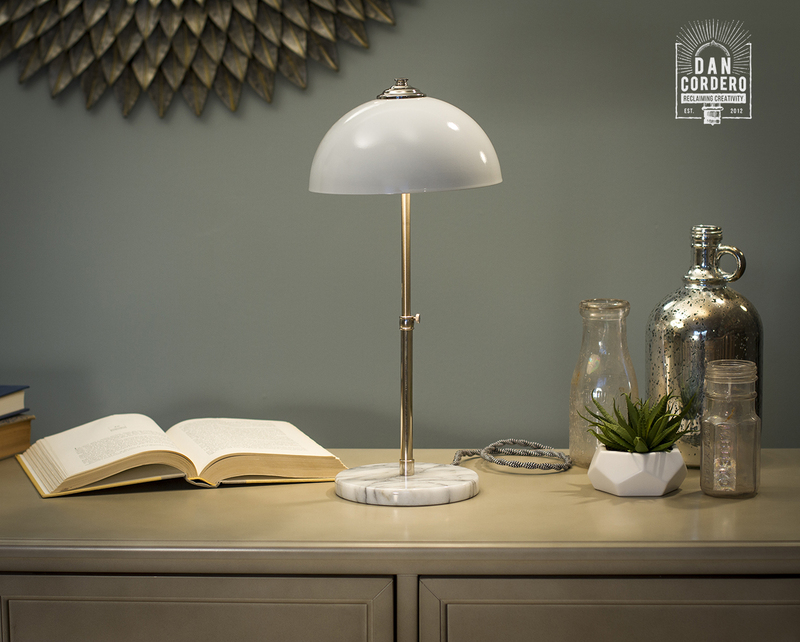 Chrome is one of the most desired and inviting finishes found in today’s day homes due to it’s decor friendly versatility and this lamp showcases the finish brilliantly. 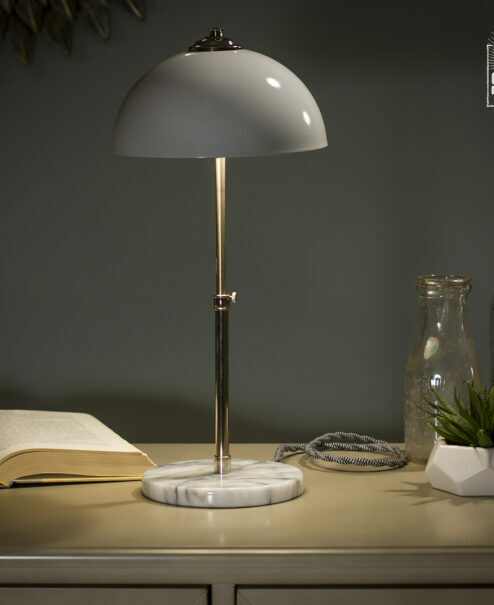 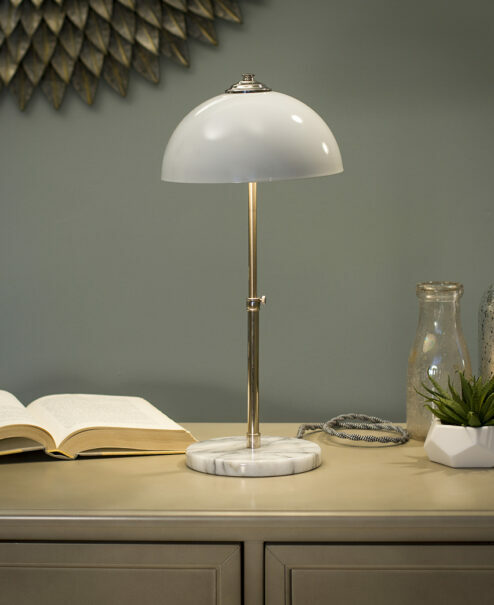 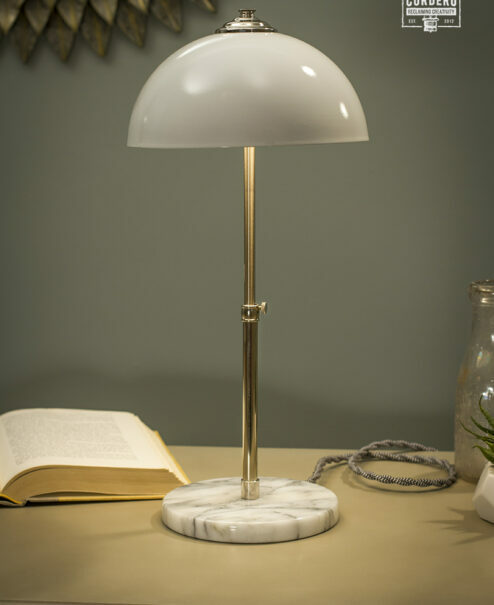 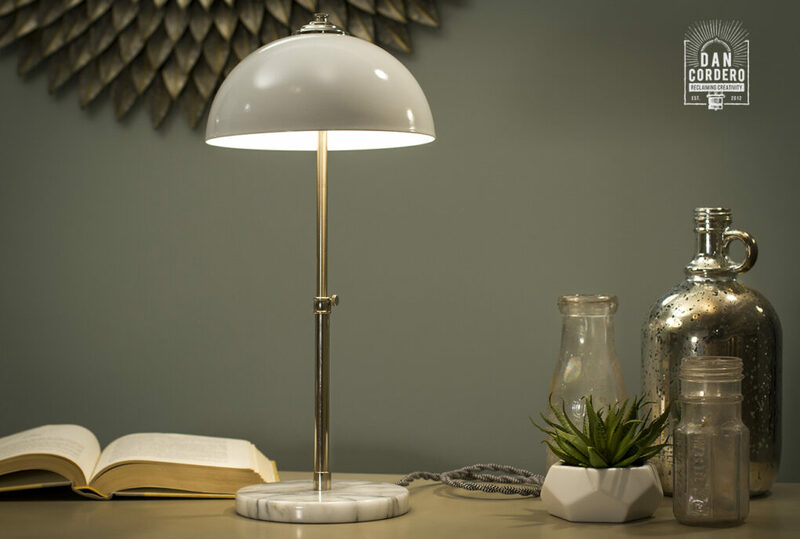 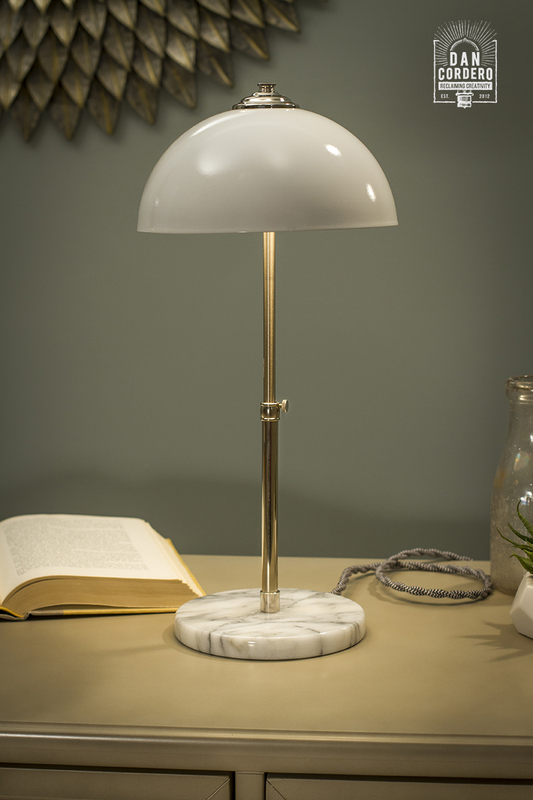 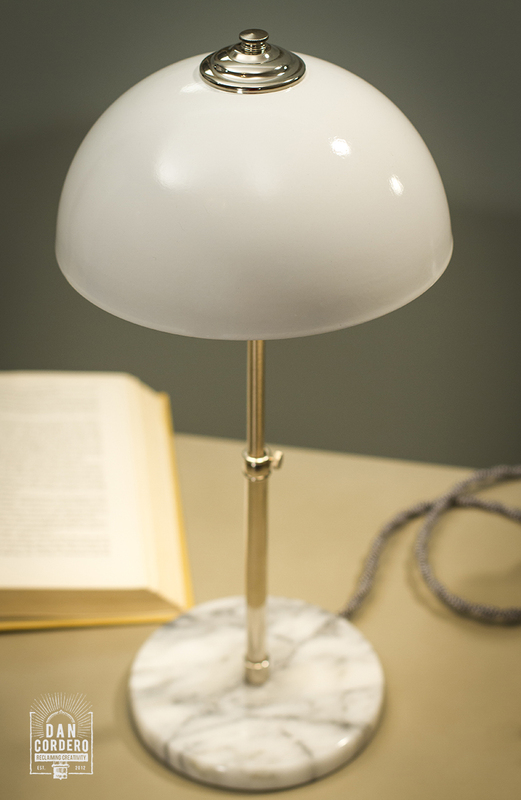 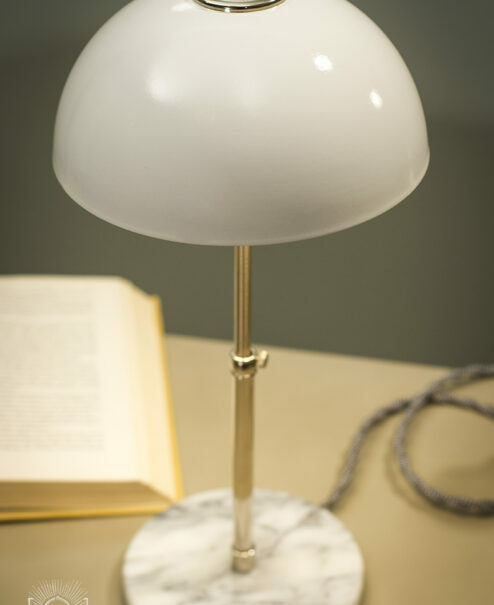 The mix of its gloss white shade and white marble base are in the perfect scale for bedside tables and desks.